LunaSpeaks Live in April featured Ashley Reynolds, owner of CBD company Elmore Mountain Therapeutics. 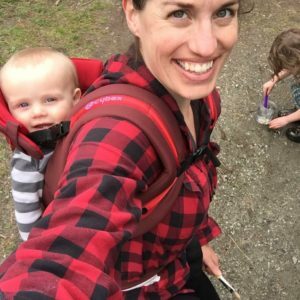 Ashley’s experience as a struggling postpartum mother of two inspired her to try CBD as a natural alternative to pharmaceuticals. The results were so positive, that she went on to start her own CBD company has become an advocate for responsible CBD use in women’s obstetrics and gynecology issues. Listen to her story, learn about CBD, and learn about the human body’s endocannabinoid system that activates when breastfeeding. Also, on April 26, Shaina Levee, M.A. discussed CBD use during pregnancy and breastfeeding at Railyard Apothecary​ with much thanks to researchers Dr. Ethan Russo​, Laurel Wilson​, IBCLC, Dr. Julie Holland​, Dr. Thomas Hale, and Dr. Melanie Dreher. The research indicated a lengthy use of cannabis from ancient Egypt through present times, and across the globe (Dreher, 1994; Russo, 2002). Research also described the human body’s endocannabinoid system in relation to breastmilk and breastfeeding (Holland, 2015; Wilson, 2016). The most recent research detailed THC levels in breastmilk at 1 to 4 hours after consumption (Hale, et. al, 2018). While there was clearly more research to do on CBD use during pregnancy and breastfeeding, our group of participants primarily felt confidant that the plant can be used safely so long as it is used responsibly (not recreationally). We came to a consensus that following our intuition was acceptable, and that less suffering during pregnancy is important for the overall health of mother and infant, as is breastfeeding regardless of use. 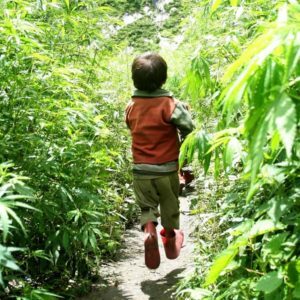 Birth Love Family​ held the event during Vermont Cannabis Week​ with thanks to sponsor Kria Botanicals.